Dialysis patients must take special care to control their intake of fluids, potassium, phosphorous and sodium. This helps keep your fluids and electrolytes balanced when you have kidney disease and plays a crucial role in managing your condition. Due to these dietary restrictions and other factors, renal patients commonly experience problems with constipation. Discuss your concerns with your doctor, and work with him to solve your constipation complaints. You're constipated when you have two or fewer bowel movements in a week, have hard stools over 25 percent of the time or strain to move your bowels more than 25 percent of the time, according to the American Association of Kidney Patients. A low-fiber diet is one of the most common causes of constipation in renal patients. Many high-fiber foods are high in phosphorous and potassium, however, and thus not renal-friendly. Getting adequate fiber by choosing renal-friendly fiber foods may help relieve constipation. Many fruits and vegetables are high in potassium and or phosphorous, but you do have some renal-friendly options that will help you get more fiber in your diet. Renal-friendly fruits include raspberries, blackberries, pears, apple, strawberries and blueberries. Renal-friendly vegetable choices are cooked corn, carrots, zucchini, green beans, yellow beans and broccoli. The typical serving size for fruits and vegetables is 1/2 cup. 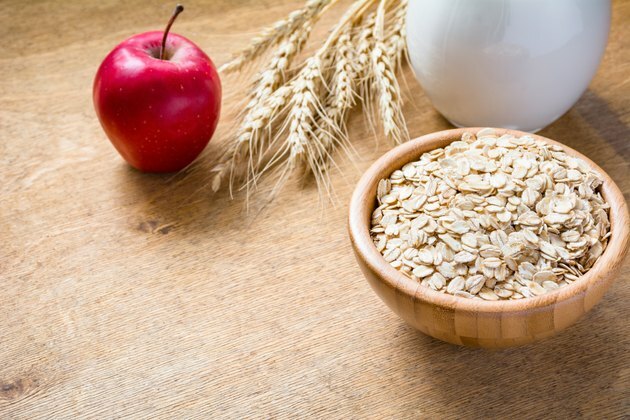 Adding a slice of whole-grain or enriched white bread, or 1/2 cup of oatmeal, can boost fiber while also being renal-friendly. Increasing your fiber intake with renal-friendly foods isn't always enough to prevent or relieve constipation. Medications that some renal patients take, such as phosphate binders, cause constipation also. Adding a fiber supplement may help with constipation, and there are some options that don't affect your fluid intake. If you're still having problems with constipation, talk to your doctor about prescribing a stool softener. It's not a long-term solution, it but can bring temporary relief. Talk to your doctor to determine how much fiber you need to relieve constipation. Your physician will provide you with individualized dietary instructions outlining your goal range for potassium and phosphorous, as well as fluids. The goal is to get enough fiber while remaining within this range. Increase your fiber intake slowly; a sudden increase may cause gas, bloating or abdominal discomfort. Increasing fiber won't work for all patients, but it's a good starting point. What Are Good Foods to Eat When You Have Constipation From IBS? Can Oranges Be a Natural Laxative? Does Prune Baby Food Cause a Bowel Movement?